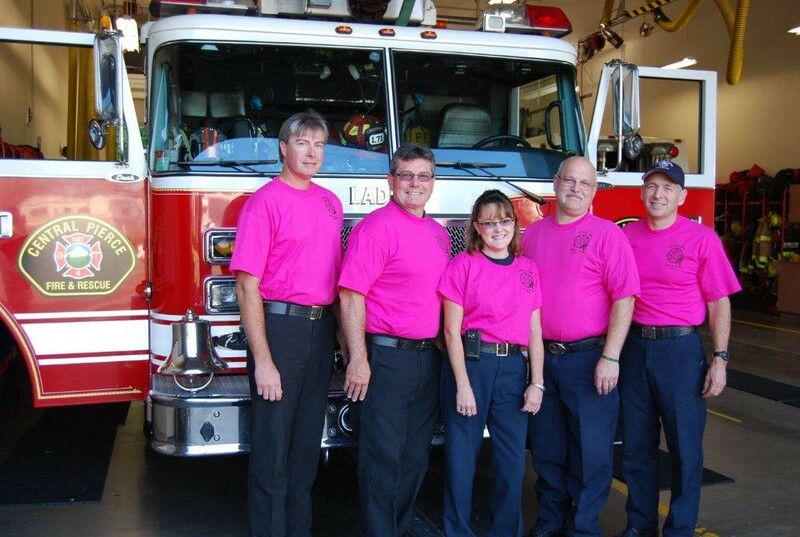 Central Pierce firefighters go pink! 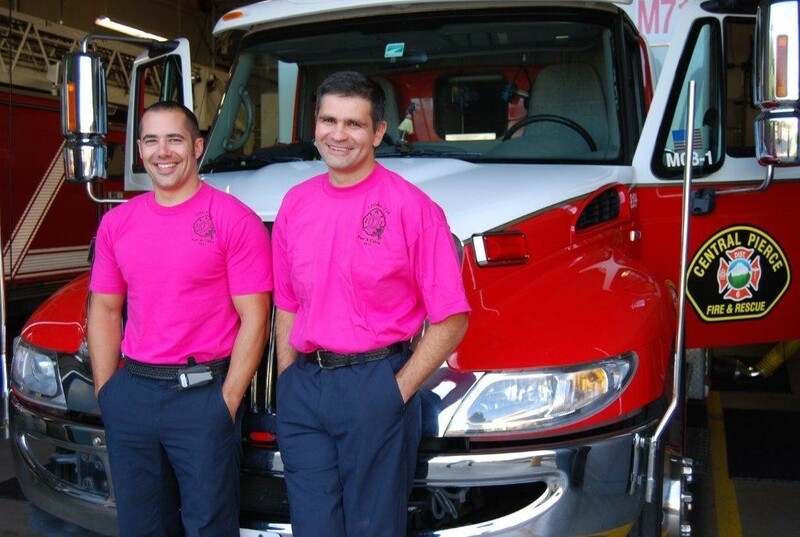 Starting Saturday, October 1, members of Central Pierce Fire & Rescue – from support staff to firefighters to chiefs – will be donning pink shirts to their show support for breast cancer awareness, Assistant Chief Randy Stephens announced this week. Pink has become the iconic color for the fight against breast cancer as it has been widely popularized by the three-day walkathons sponsored by the “Susan G. Komen For a Cure” campaign. 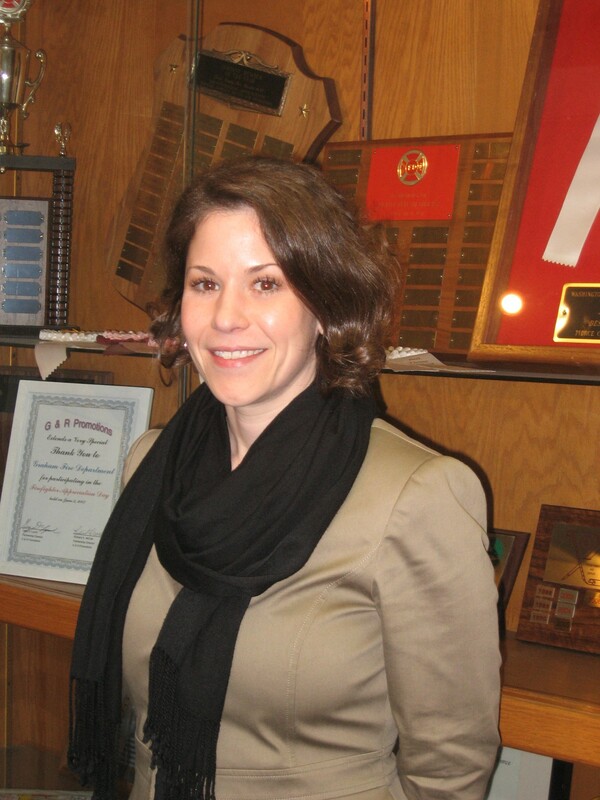 Recently, the founder of this renown organization, Nancy Brinker, described the historic arc of her work to National Public Radio, saying that when her older sister, Susan G Komen, died of breast cancer at the age of 36, Brinker resolved to find the cure. Searching for a symbol for this effort, Ms. Brinker chose her sister Susan’s favorite color, pink. When Ms Brinker made that promise, the five-year survival rate for breast cancer in American women was 75%. Now, twenty-five years later, and after forming the largest grassroots network of cancers survivors and activists in the world, the Susan G Komen For the Cure has procured over $1.9 billion in private donations for research and community outreach programs, and the survival rate in America is approaching 98%. However, although this figure is remarkable, 1 in 8 American women still face the prospect of being diagnosed with breast cancer at some time in their lives. Currently, there are over 2.5 million breast cancer survivors in the United States, the largest group of survivors for all forms of cancer. Despite the progress that Komen For the Cure has made, the rest of the world is lagging behind. Brinker estimates that nearly 10 million women will die of breast cancer globally in the next twenty-five years. In addition, she would like to expand the fight against cancer to include all forms of this disease. In the United States about 11 million cancer cases of all types are diagnosed every year, and cancer claims the life of over 7 million patients annually, as well. In addition, Brinker wants to go beyond a cure and is dedicated to finding the cause of breast cancer – and then creating the prevention strategies that will protect the millions of American women who develop this disease each year. Besides showing their support over the next week by wearing pink “T” shirts, the members of Central Pierce Fire and Rescue have also donated over $4,000 to the “Susan G. Komen For A Cure” campaign. “Most of us have had a friend, family member or acquaintance that has been impacted by breast cancer,” Chief Randy Stephens said knowingly in his announcement. To learn more about breast cancer and find out how you or your organization can get involved, visit www.komen.org . For more information please click on our ad in the column to the right. This entry was posted in Cops and courts, Culture, Events, Nature, Politics, Science and Technology, Self Reliance, Uncategorized. Bookmark the permalink.